The Blake School is an independent pre-k-12, private, non-sectarian, coeducational, college preparatory day school with campuses in Minneapolis, Hopkins, and Wayzata, MN. It is a “home” of Nan Peterson, Blake’s Director of Service Learning. Along with Deacon Steve Herrera of San Jose Diocese and Archbishop Mitty High School, and Leif Erickson of Youth Community Service, both in California, Nan is one of our beloved Senior Shinnyo Fellows. Last year, Nan had shifted her full-time position to become half-time as she is attempting to wind down her career at Blake that goes beyond three decades. Nonetheless, Nan hasn’t decreased any of her peacebuilding endeavors. 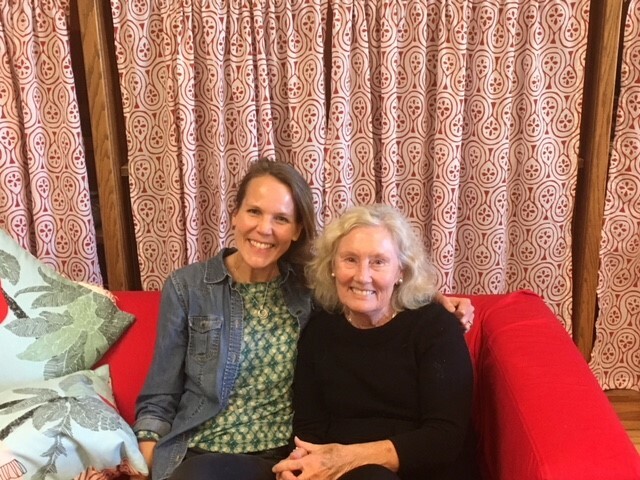 Especially now with her friendship, partnership and collaboration with Lisa Sackreiter, Assistant Director of Service Learning & Community Engagement at Blake, Nan is ever more efficient and thoughtful about ways to spread the ripples of Paths to Peace into the communities beyond Blake. 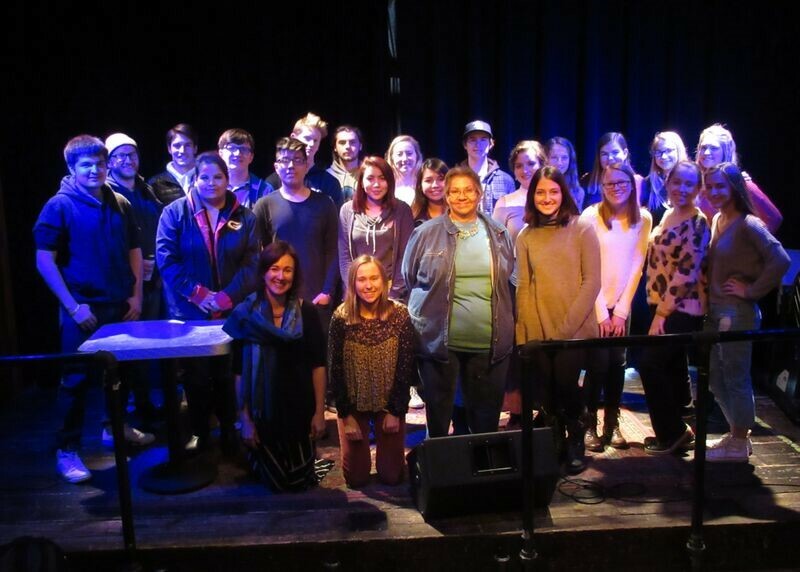 For the past four years, Little Earth of United Tribes and the Blake School have engaged in a public-private partnership to bring the communities together through a series of storytelling-based events. Between 15 and 18 Blake high school seniors enrolled in Native American Fiction, Folklore, and Film use four class days to 1) host visitors from Little Earth at Blake and share a meal and introductory conversation, 2) learn from a local expert in Indigenous cultural, socio-economic, and/or artistic development, 3) visit Little Earth to share a meal with students, elders, and employees of Little Earth, and 4) share the stage at The Depot Coffeehouse with Little Earth partners in presenting written pieces based on their time together and learning in the literature course. Between the third and fourth gatherings, students share their written drafts with Little Earth partners for collaboration, editing, and revision. This partnership together has shown how two geographically close communities can learn from each other. The Blake community members have room to develop their oral storytelling skills and interpersonal, intercultural communication skills, while learning from Little Earth community members who are more adept at impromptu dialogue and verbal sharing of knowledge. Likewise, the Little Earth community has the opportunity to practice written dialogue via Google Docs and educate a student population previously less informed about the lived experiences of their Indigenous neighbors. 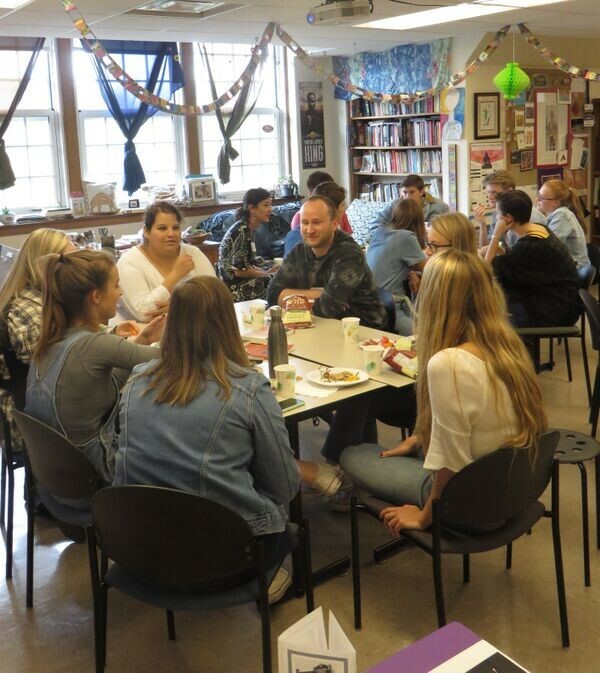 In the upcoming fifth year of the Little Earth & Blake Story Sharing partnership, Maurissa Bigjohn is hoping to expand this successful partnership by launching an eight-part program for a cohort of 15 8th-10th grade Little Earth students. The Blake students will engage with this cohort of Indigenous youth in practicing public speaking skills and academic enrichment. The Little Earth students will have the opportunity to share their cultural knowledge with the Blake students during the fall semester with opportunities for after-school tutoring and peer-to-peer relationship building through Blake Service Learning. 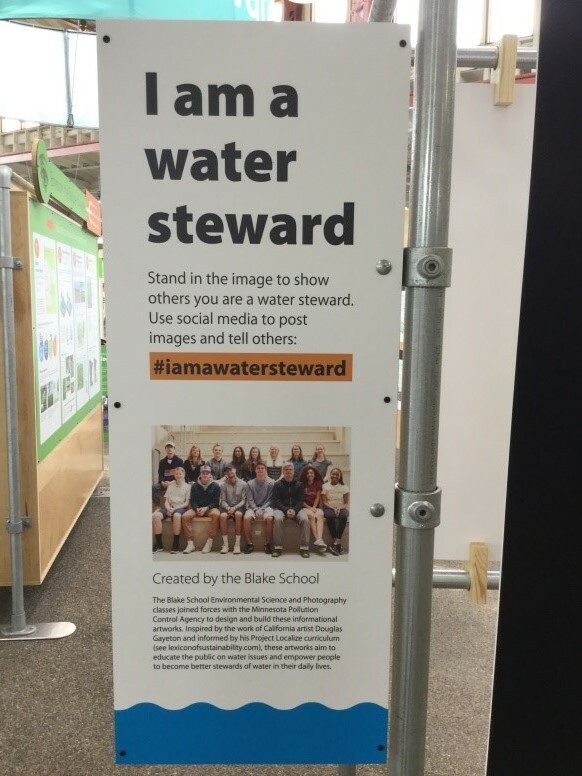 In the Blake School Arts lobby you will now find a collaborative photography and environmental science project that Blake students created last year for the Minnesota Pollution Control Agency. These projects were on display at the Eco Experience building at the Minnesota State Fair in August and September. 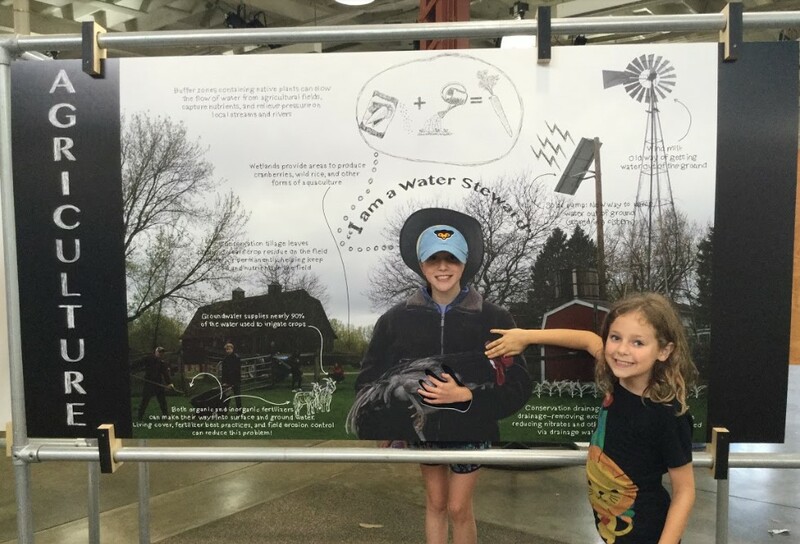 It’s a very fun, interactive way to explore water use and conservation in our community. This is led by students who have an environmental path to peace. This exhibit has generated interest in the larger environmental/conservation organization community as well. The panels will be on display at the Mississippi River Watershed Management Organization from mid-October to mid-December and then will go to the Dodge Nature Center in West St. Paul. Potential future destinations include Three Rivers Parks and the Minnesota Valley National Wildlife Refuge! 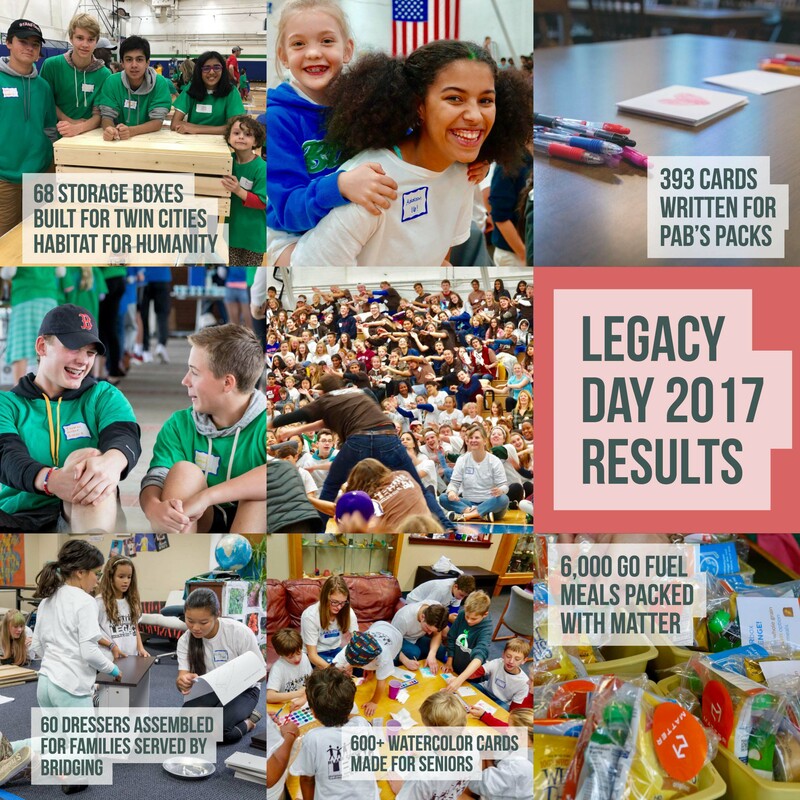 Blake held another fantastic Legacy Day, an annual tradition during which the Blake community gathers together with the common purpose of strengthening commitments to lifelong learning, community service and global citizenship. You can read all about it here. These collaborative projects are a wonderful example of how far ripples of paths to peace can spread! Thank you Nan, Lisa and the Blake School for the meaningful work you do to help spread peace in your community and beyond!